Recessions and falling home prices are not really new concepts. Housing prices took a 24 percent nosedive during the Great Depression of 1929. In hindsight, that housing recession was not really a good time to buy real estate in the short term because that particular recession lasted 10 years. It was long enough that some survivors still fold and save pieces of used aluminum foil, like some of my relatives. All other recessions since 1929 lasted a period of two years or less. Many of those recessions shared falling stock prices, high-interest rates, high unemployment rates, and a loss of consumer confidence, along with one other common trait: They were all good times to buy real estate. When prices fall, the question is not really how low can they go? The question is how much real estate can you buy before prices go back up. If you are buying a home during a housing recession, getting a good price is just as important as being able to hold and ride out the housing recession. Here are strategies that can help you make a wise decision and capitalize on falling prices. Figure out if it makes financial sense for you to buy when prices are falling. If prices haven't hit bottom yet, here's how to tell where the bottom is likely to rest, and why it might not really matter. In depressed markets, it's not unusual for some sellers to price their home too high. If you spot a home that's been languishing on the market, it might warrant a second look. Here's how to tell. Foreclosures, short sales, and REOs have differences. Read more about buying distressed properties under market value and which is more profitable for a buyer—short sales, foreclosures, or real-estate-owned (REOs). Here's how CA law affects foreclosure sales. Before you buy a short sale, read about your rights—for instance, why the seller's lender needs to approve a short sale and how to understand what is involved in closing short sale transactions. Here's how to buy a foreclosures/REOs from the bank, negotiating offers for bank-owned homes, and the difference between REO homes and short sales. You can also hire an agent to buy REOs. Not every home you spot for sale will be a good buy. Some might require extensive repairs or be located in the wrong neighborhood. The key to buying a home is and always will be location, location, location—followed by conditions. Here are precautionary tips for home buyers in a housing recession. Mortgage defaults affect home values. Nearby homes often feel the effect of foreclosures, especially if many foreclosures have been filed. 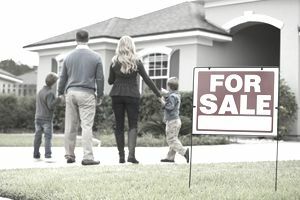 Here's how to help an appraiser use the right comparable sales when selling a home in a neighborhood faced with recent foreclosures. Read more here about the condition of homes purchased at auctions or trustee sales, as well as what a buyer can expect and prepare for when buying a home without an inspection. Fixtures are real estate because they are not personal property; they are affixed to the land, to the house, which means fixtures stay with the house. That doesn't stop some desperate homeowners from smashing walls to rip out Romex wiring or copper pipes and selling them for scrap in back alleys. Whenever a housing recession hits, the crooks crawl out of the woodwork. Here's how not to fall for gimmicky schemes, as well as top home buying and home financing mistakes and how you can avoid making them. Some of the lowest-priced homes will be those that require extensive repairs. Here is how to buy a home that needs fixing up, and how to tell the difference between a major rehab or a home that requires small cosmetic fixes. Bottom line, don't try to time the rock bottom of the market because by the time you realize prices have hit bottom, they are already on the upswing. Real estate moves in cycles.